BRUSSELS (ANA/ C. Vasilaki) The European Commission is unable to confirm a Reuters report about a preliminary agreement between Athens and the institutions to conclude the second review, European Commission spokesperson Annika Breidthardt said on Wednesday. “We saw the media reports on this; I cannot confirm,” Breidthardt said during the regular press briefing when questioned about the report, which claimed a deal had been struck on pensions and labour market rules. “There is no deal yet,” another European official told the Athens-Macedonian News Agency (ANA). According to another Eurozone source, however, there appears to be some movement in the last hours, while pointing out that “nothing Ã¯s agreed until everything is agreed. 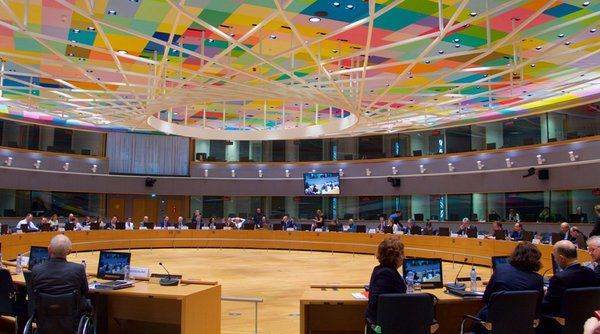 In order to have time to reach a staff-level agreement (SLA) before the Eurogroup on April 7, the source explained, it was necessary to have an agreement in principle at Thursday’s Eurogroup Working Group meeting. “In other words, we must have something today or tomorrow morning,” the source noted, saying this will allow the mission chiefs from the institutions to return to Athens and give sufficient time before the Eurogroup to wrap up the final details of the SLA. Quoting unnamed sources, Reuters reported that Greece had reached an agreement with its lenders on key labor reforms, spending cuts and energy issues, moving closer to clinching a deal before a meeting of eurozone finance ministers on April 7.